The fact that social entrepreneurship can be leveraged upon to enhance leadership among Nigerian youths is an indicator that socio-economic development in Africa is taking a progressive turn. Social entrepreneurship offers a platform to ensure self-sustenance, creation of employment, and most importantly to propel the ideal of nation-building significantly. Hence, in a bid to guide the young generation through the path of value-oriented leadership Junior Achievement Nigeria has partnered with ACT Foundation to instill leadership values in Nigeria’s youth by encouraging the growth and sustenance of social enterprises. Finding solutions to lingering problems and challenges is key to social and economic growth of any society. Through the Regional Company of the Year competition, Junior Achievement Nigeria’s partnership with ACT Foundation seeks to promote nation-building by social problem-solving. A major part of the work is dedicated to ensuring financial literacy among the youth. 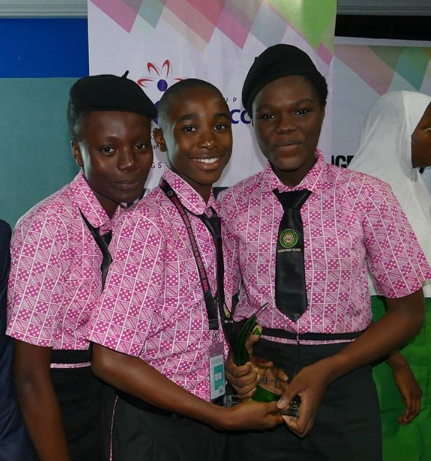 The 2018 regional finals held in Ibadan, Oyo State witnessed diverse forms of innovation and enterprise from secondary school students whose task it was to find solutions to problems within their various communities and run it as a business. From security mats that serve as home alarm systems, eco-friendly deodorants and efficient insect repellants to water level indicators that have been tried and tested in several communities across the state, the companies that competed in this year’s challenge impressed the audience that came to witness the rise of social entrepreneurship among young innovators in Ibadan. Special Assistant to the Oyo State Governor on Education, Science and Technology, Bisi Akin-Alabi applauded the initiative stressing that it ushered in the much needed change required in underserved communities of the state. “What we have witnessed here shows that our youths have realized that they have the power to build great things from nothing”, she said. The CEO, ACT Foundation, Osayi Alile speaking on the significance of the program on today’s society reemphasized the need to empower the youth by advancing their entrepreneurial mindset in a bid to foster inclusive growth and leadership. “We need to encourage our youth to embrace an attitude of selflessness, and a passion for enterprise geared towards community problem-solving. This way we can produce leaders that view societal advancement as a priority”, she stated. Aspire Coronation Trust (ACT) Foundation is a grant making organization established in 2016 to support local, national and regional nonprofit organizations working to address challenges and related vulnerabilities across Africa.